Spain is nowadays the biggest producer and exporter of the best quality Black Truffles. The two main species harvested in our country are the Black Truffle (Tuber melanosporum) -the most appreciated by gourmets-, and in second place, the Black Summer Truffle (Tuber aestivum). What are truffles? Where to find them? What varieties are there? What is the history behind them? We bring you recipes, preservation hacks, advices on how to avoid getting scammed, etc. A careful selection of truffle delicacies made in Spain. Bringing the producer closer to consumers. Truffles are a powerful tool for the prosperity of the countryside. Start discovering this exciting world. You are in the right place to learn more about truffles! 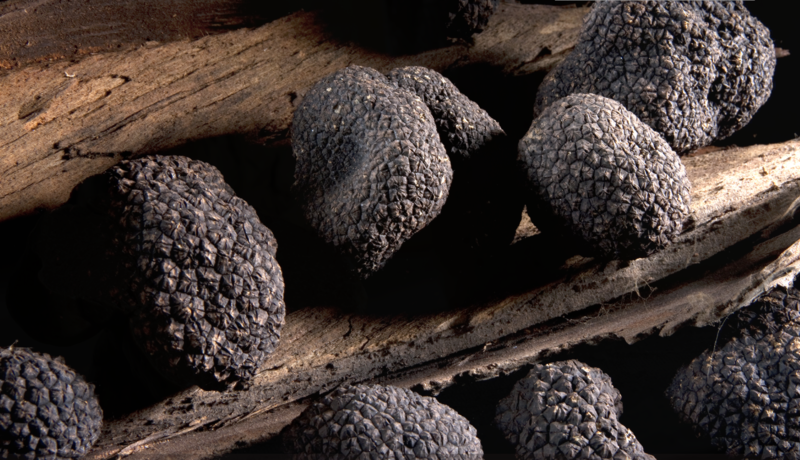 Truffles are one of the most exquisite luxurious products that can be found in nature. Their distinctive fragrance has inspired culinary brilliance for centuries. Tuber aestivum Also known as “Black Summer Truffle”, “Summer Truffle” or “White Truffle” due to the clear colour of its inside. Although not held in such high regards as the winter variety, summer black truffles are still a delicious and versatile ingredient.